We know how overwhelming a major gardening or landscaping project can be, but an even bigger issue is garden waste removal. It is important to plan how you will dispose of green waste even before you commence your project. Otherwise, you will be left with piles and piles of shrubs and clippings. There are various ways of disposing of garden waste efficiently. Take a look at the tips we’ve prepared to help you remove garden waste in an eco-friendly manner. Before we talk about the garden waste removal tips, let us clearly define what green rubbish is. Waste products that are considered biodegradable can be identified as green waste. This means that this type of rubbish naturally breaks down to become part of the earth again. Some types of green waste include garden rubbish like weeds and grass clippings. They are called “green” waste because they are high in nitrogen. 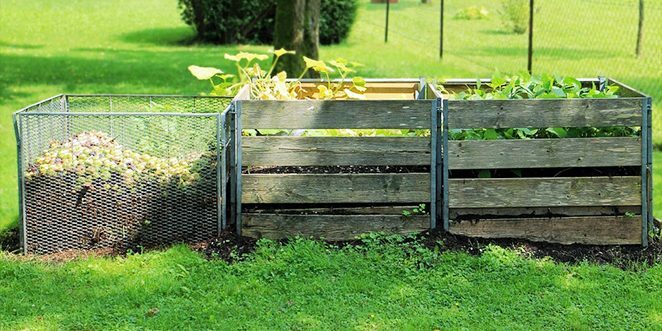 One of the most environmentally friendly ways of garden waste removal is composting. Through this activity, you can turn green rubbish from your garden into good soil materials. You can use your compost produce as a fertiliser for your garden plants. It is true that composting is a great green waste removal option. However, it does not work for all types of homeowners. Keep in mind that composting can be tedious and it can even produce a foul smell. Aside from that, if you do not efficiently execute your composting plan, you may just attract pests. If you think composting won’t work for you, then you should contact A’n’K Budget Bins and hire a skip bin. We have different skip bin sizes that are suitable for garden waste. Once we deliver the bin to you, all you have to do is fill it with green waste. Our team will then pick up the bin and send the rubbish to a composting facility. Across Australia, local councils issue green bins around many neighbourhoods. Residents can dump their green waste into these bins and the council regularly collects the bins to send the waste for proper treatment. Council green bins are quite useful when you’re throwing away small amounts of garden waste. Unfortunately, most of these bins come in small sizes. So, if you have bigger landscaping projects, you may have to store the rubbish on your property until the next collection. It goes without saying that if you are dealing with a larger amount of green waste, hiring a skip bin from A’n’K Budget Bins is the best way to go. If you want the most convenient, efficient and environmentally friendly way of garden waste removal, then contact A’n’K Budget Bins and we’ll provide you with the ideal solution. We will deliver the skip bin right to your doorstep and once you’ve filled it, simply call us to schedule a pick-up. Our waste specialists will collect the skip bin and send your green waste to a composting facility. We offer our skip bins in a range of sizes—from 2m³ to 12m³. The ideal skip bin sizes for garden waste removal are from 2m³ to 6m³. However, you are free to hire our bigger skip bins if you wish to do so. A lot of homeowners avoid hiring skip bins because they think that it is a pricey option for garden waste removal. The truth is, there are many reasons why opting for garden skip bins is a wise choice as compared to other means of clearing garden and green waste. We’ve listed some of the reasons below. You might think that hiring a man with a van service is an easy option when it comes to garden waste removal. However, you have to remember that when you choose this, you would be paying twice as much as you would when you hire a skip bin. This is because you’d be paying for the labour costs as well as the amount of rubbish you need to remove. On the other hand, hiring a skip bin is a more affordable alternative. You only have to pay for the skip bin rental. We’ll deliver the bin to you and once you’ve filled it, we’ll take your garden waste to a composting depot. As we’ve mentioned earlier, green bins from local councils are typically small. Aside from that, you have to consider the fact that most councils collect green waste once every two weeks. This means that it will take you a long time to clear large amounts of rubbish in your garden. If you do not have the patience and time to dispose of garden waste through local council green bins, then A’n’K Budget Bins’ skip bins are your ideal choice. When you contact us for skip bins, you can clear all your green waste in one go. This means that you will have more time and energy for other tasks, such as landscaping or building a deck. So, make the ecological choice by calling A’n’K Budget Bins. Our team takes pride in providing the most convenient and environment-friendly garden waste removal option to our clients. Give us a call and we’ll help you decide what skip bin size is ideal for your garden rubbish.